Mig Vapor has been a staple in the vaping world for some time now. 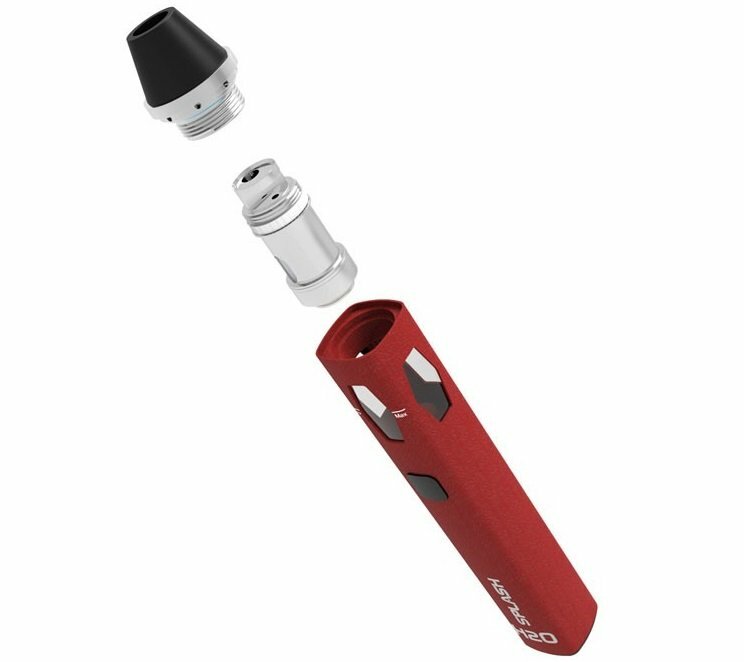 The H20 Splash is an extended, slender device with one firing button, a detachable mouthpiece, and top cap, and a top fill clearomizer that can hold up to 2 mL of e-juice. There are small view holes cut into each side of the vape pen so the user can gauge and measure the e-juice levels. 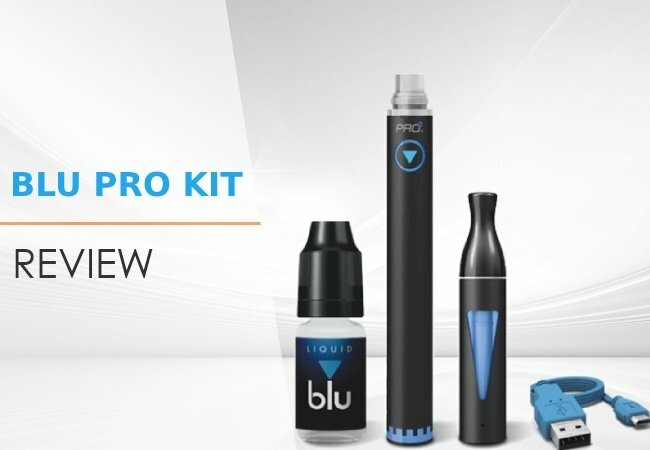 The entire body of the vape pen looks like it is covered in some rubber foam that might prove great for durability or might just be a cheap substitute for something a little sturdier. 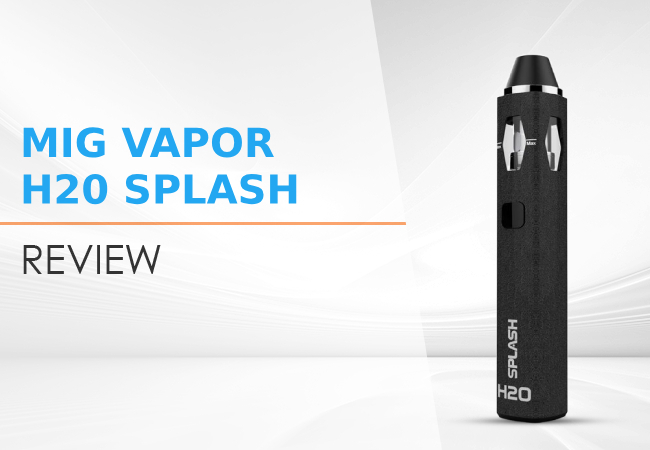 Mig Vapor H20 Splash is a functional, utilitarian AIO with a leak-proof tank. There is only one firing button on the front of the device, and a USB port for charging right at the bottom tip of the pen. Unscrewing the entire top cap takes out the atomizer from the device. There is a Kanthal coil inside the atomizer, wicked with organic Japanese quality, so Mig Vapor did not skimp on using quality materials to make this pen. 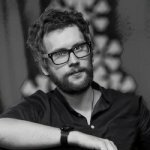 Wrapping It All Up / Is This Vaporizer Worth a Purchase? The H20 Splash being an AIO, it is a breeze to get vaping. The mouthpiece unscrews from the top cap to reveal the fill holes. And users can watch as they fill the tank from the outside to see when they get to the maximum. The “maximum” is set to the middle of the glass viewing port and not to the very top to avoid tanks overflowing or leaking since only the top cap seals in the tank. Turn on the H20 Splash just by clicking the firing button five times. 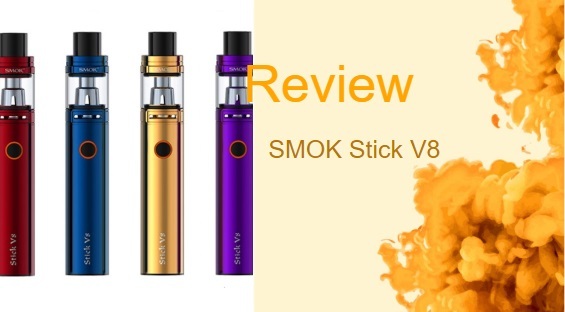 There is no OLED screen or any adjustable vape features on the kit so need to worry about that. The H20 Splash pen comes with a 1500 mah battery, which stands for milliampere hour and tells the battery capacity. This is relatively high for the industry standard of pen batteries. It is important to note though, that due to the slim and small size of pens, they naturally have less battery capacity and power than larger vaporizers. This 1500 mah battery powers the impressive 30 watts of the pen. The USB charging capabilities make it super easy to charge this vape. It can be charged nearly anywhere anytime. These days, most buildings come with USB ports built into their walls, and most computers also have USB ports. This adds to the portability of the pen. The battery power combined with the sub-ohm coil inside made for some unusual cloud patterns. With devices that have no airflow control, vapers usually get very restricted draws, but that was not the case with the H20 Splash. Great direct-lung hits can be pulled out of the wide-bore mouthpiece. The vapor itself is quite warm, pleasing to taste and voluptuously formed. The 2mL tank capacity is more than enough to get the user through a two-hour session, with moderate vaping. This vape pen is more expensive than the H20 Splash but is not necessarily a better buy. It is easy to use, has the same battery capacity, and has a great leak-proof design. However, a big con of it is that it does not have variable wattage, and reaches a lower sub-ohm wattage than the Splash. 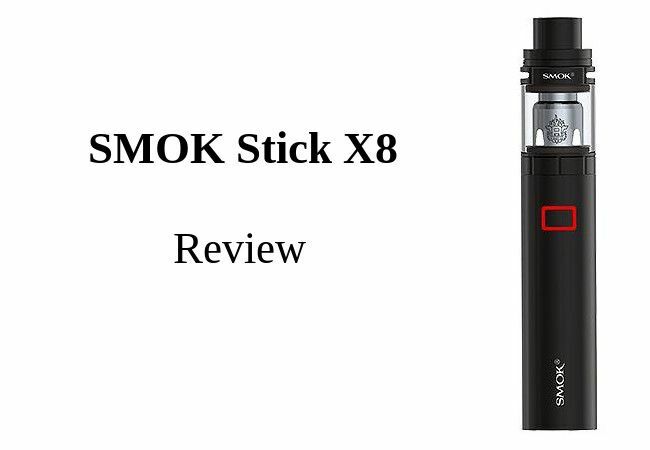 Given its simplicity and lower power level, it may be good for beginners but is not suited for experienced vapers. The G Pen Liquid Vaporizer is more expensive than the H20 Splash but cheaper than the XEO Void. 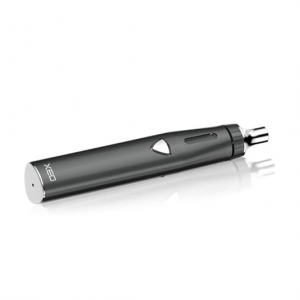 Though G Pen has many different products that vaporize various mediums, this particular one only vaporizes E-liquids. It has a similar aesthetic to the H20 Splash, but only comes in black as opposed to black and red, and has a slimmer, rounder mouthpiece, which some prefer and some dislike. It has a similar aesthetic to the H20 Splash, but only comes in black as opposed to black and red, and has a slimmer, rounder mouthpiece, which some prefer and some dislike. 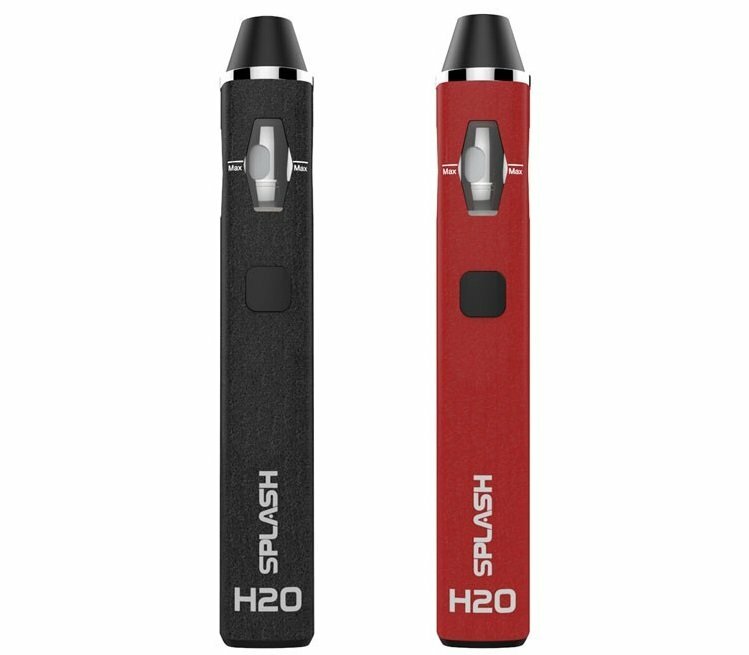 The Mig Vapor H20 Splash is a practical device that would be a useful starter device for someone looking to get into vaping. Those looking for some extra features may also try Mig Vapor’s Minion. The addition of sub-ohm coils, however, made sure that even experienced tokers might enjoy taking a few puffs off of the H20 Splash. This sub-ohm technology provides a low resistance experience, and leads to delicious vapor without obnoxious clouds or sacrificing quality. All in all, this pen has a great price to value ratio and is a recommended purchase.